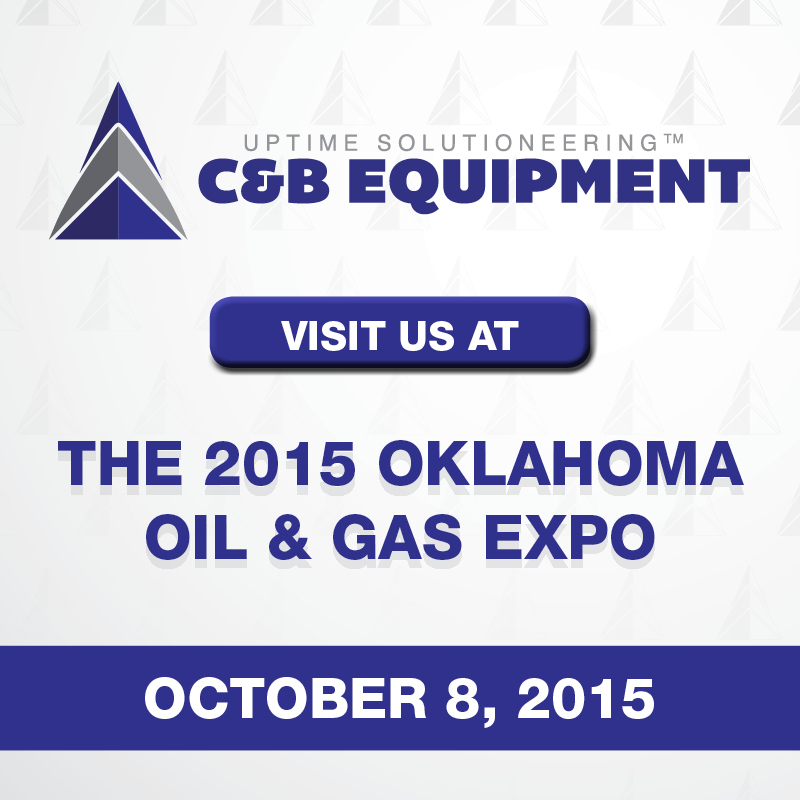 C&B Equipment is excited to share their unique vision of Uptime Solutioneering™ at the upcoming 2015 Oklahoma Oil & Gas Expo on October 8. The Expo brings together companies, ideas and innovators that are shaping the future of the industry. During the event, attendees can learn, network, connect and enjoy an always welcomed complimentary lunch. Hosted by the Committee for Sustaining Oklahoma’s Energy Resources (SOER), the Oklahoma Oil & Gas Expo is the largest event of its kind in Oklahoma. Each year this one-day event is attended by more than 3,600 participants, exhibitors and sponsors from the oil and natural gas industry. SOER was established to encourage new processes and technological advancements to sustain the oil and natural gas industry. SOER offers a wide range of workshops and hosts events throughout the year to further this mission. The 19th annual Oklahoma Oil & Gas Expo will be held from 9 a.m. to 4 p.m. on October 8, at the Oklahoma State Fairgrounds in the Cox Pavilion, Oklahoma Expo Hall and Centennial buildings. For more information about the 2015 Oklahoma Oil & Gas Expo visit okoilexpo.com/.